48. פָּתַח וְאָמַר, (שם) הַמַּלְאָךְ הַגֹּאֵל אֹתִי מִכָּל רָע יְבָרֵךְ וְגוֹ’. פָּסוּק זֶה אָמַר יַעֲקֹב בְּרוּחַ הַקֹּדֶשׁ. אִם בְּרוּחַ הַקֹּדֶשׁ אָמַר אוֹתוֹ, סוֹד חָכְמָה יֵשׁ בּוֹ. הַמַּלְאָךְ, קוֹרֵא לוֹ מַלְאָךְ, וְקוֹרֵא לוֹ שֵׁמוֹת אֲחֵרִים. מַדּוּעַ נִקְרָא כָּאן מַלְאָךְ? אֶלָּא כְּשֶׁהוּא שָׁלִיחַ מִלְמַעְלָה וּמְקַבֵּל זֹהַר מִתּוֹךְ אַסְפַּקְלַרְיָה שֶׁלְּמַעְלָה, (שֶׁאָז) שֶׁכְּשֶׁמְּבָרְכִים אַבָּא וְאִמָּא לָזֶה, אוֹמְרִים לָהּ: בִּתִּי, לְכִי שִׁמְרִי בֵיתֵךְ! פִּקְדִי אֶת בֵּיתֵךְ! כָּךְ עֲשִׂי לְבֵיתֵךְ! לְכִי וְזוּנִי אוֹתָם. לְכִי, שֶׁאוֹתוֹ עוֹלָם שֶׁלְּמַטָּה מְחַכֶּה לָךְ, בְּנֵי בֵיתֵךְ מְחַכִּים לְמָזוֹן מִמֵּךְ! הֲרֵי לָךְ כָּל מַה שֶּׁתִּצְטָרְכִי לָתֵת לָהֶם. וְאָז הִיא מַלְאָךְ. 49. וְאִם תֹּאמַר, וַהֲרֵי בְּכַמָּה מְקוֹמוֹת נִקְרָא מַלְאָךְ, וְלֹא בָא לָזוּן עוֹלָמוֹת, וְעוֹד, שֶׁבְּשֵׁם זֶה לֹא זָן אֶת הָעוֹלָמוֹת, אֶלָּא בַשֵּׁם שֶׁל הַשֵּׁם – כָּךְ זֶה בְּוַדַּאי. כְּשֶׁשָּׁלִיחַ מִתּוֹךְ אַבָּא וְאִמָּא, נִקְרָא מַלְאָךְ. וְכֵיוָן שֶׁשּׁוֹרֶה עַל מְקוֹמוֹת, עַל שְׁנֵי כְרוּבִים, שְׁמוֹ ה’. This verse comes from the blessing Jacob gave to the children of Joseph. The Zohar reveals that Jacob’s blessings were given with the support of the Holy Spirit and every word have great wisdom. ‘The Angel’ is the aspect of Malchut that receives the Light from Chokmah and Binah to nourish the lower levels. We give this blessings to the children on Friday night because Malchut is elevated to Binah and fully ‘charged’ with Light. The connection to ‘fish’, especially on Shabbat night*, brings protection from all negative especially evil eye. Evil eye cause a serious damage in a person because it affects spirituala roots. In this parasha Balak calls for Balaam, who was known to have very strong evil eye to curse the Israelites. Balaam couldn’t hurt the Israelites because their camps were arranged perfectly around the Holy Tabernacle that provided the ‘water’ to cover and protect them. Most people fear evil eye and they would buy ‘stuff’ to have the sense of protection. If you buy something for protection it is idol worship because material doesn’t have energy unless it was ‘charged’ with meditation by a true Kabbalist. As we studied, the true protection comes from the study and connection to the Torah (through the Zohar). Please do not waste your money on ‘stuff’ for fake protection. It’s idol worship that create distance from the Light. You better read Zohar and meditate every day. 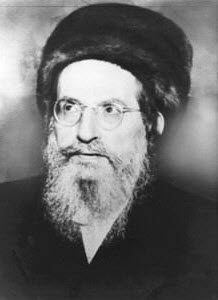 Rabbi Avraham Chamoi of blessed memory was a Kabbalist that knew how to write names and make amulets for different purposes and protection. He used to listen to the person’s request and ask him to come few days later. By that time he made a day of fasting, meditate on the person’s name and wishes. Only then he would write an amulet made specifically for that person. He didn’t charge money because his consciousness was to help others not to make money out of people’s weaknesses. If you transfer your faith to a material object you lose the connection to the Light. Swim with the fish of the Zohar for protection as if you are inside Noah’s Ark. * Friday night should be called Shabbat night because the Hebrew day begins at night (Genesis 1:5 “And there was evening and there was morning one day”) So Friday after sundown we are in Shabbat and that night is called Shabbat night.